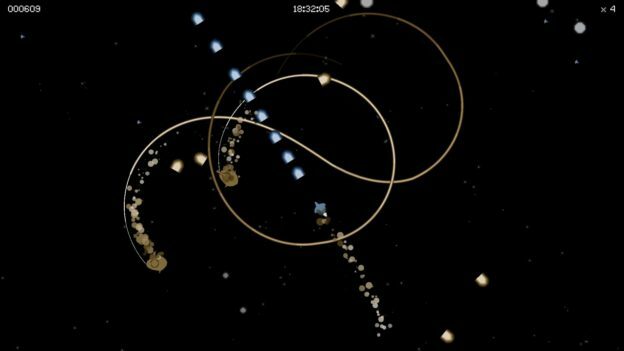 Cycle 28 is a massive space exploration game that is simple in concept but challenging in execution on multiple fronts. Although in-game music brought a sense of atmosphere to the adventure, no pun intended, it really wasn’t enough to keep me engaged for hours on end. Yes, things like upgrades highetened the experience, but those bells and whistles just didn’t keep me interested for long. Right before you begin your journey through space you are presented with a captain’s log of sorts. These little paragraphs give you a tiny backstory of pilots who are lost in the emptiness of space. For what it’s worth, I found reading these logs to be interesting, and even though it’s nothing award winning, it does help set the scene to what will eventually become your ominous space expedition. If you’ve played the arcade game Asteroids you’ll quickly pick up on its similarities with Cycle 28. Your spacecraft essentially flies in any direction, but rather than having full control of your ship, you rocketboost your way through space. Using the left thumb-stick grants you the ability to shift in any direction during rocketboost, but even this is no easy task. Although it can be a bit frustrating at times, you’ll begin to travel through space quite easily once you get the hang of it. The idea is to stay alive for as long as possible, but doing so is no easy task to accomplish. As you begin your space journey, you are quickly greeted by enemy spaceships – big and small. These ships gravitate towards you from all directions, and shooting them down gives you points and upgrades once you’ve crossed a particular threshold. Controlling your spaceship is no walk in the park either, only because you’re not allowed to adjust control sensitivity, as if you’re playing a shooter on max sensitivity when you actually prefer the opposite. Thankfully, obtaining upgrades makes gameplay much easier, as you’re given additional firepower like multi-shots and dual-canons. Although gameplay is engaging and full of dodging enemy fire, Cycle 28 quickly shows all of its cards at once, making you feel like you’ve seen what the game has to offer within a matter of minutes. Even though Cycle 28 only plays one song during gameplay, the tune brings a sense of atmosphere to the experience, truly making you feel deeply alone in outer space. I quickly became enchanted by the single-played tune, as it somehow reminded me of the movie Tron: Legacy. It’s an awesome tune to listen to, and it’s worth hearing over and over again. 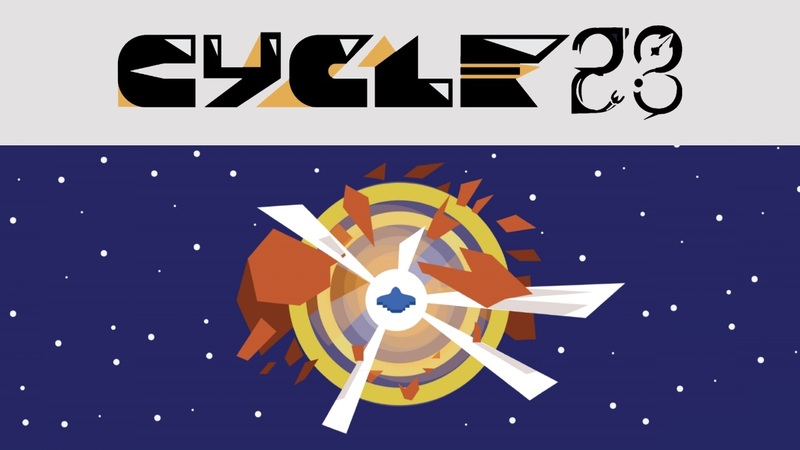 Cycle 28 is a mediocre space-shooter for the Nintendo Switch that quickly shows its cards all at once and becomes uninteresting within a matter of minutes. Control sensitivity can be daunting and makes exploration a bit difficult at first, but once you get the hang of flying you’ll be just fine. Weapon upgrades help lighten the experience, and the single song played during outer space dog-fights gives life to the adventure. Cycle 28 is an interesting title with good background music, but it also shows you everything it has to offer within minutes, making this an average game for the Nintendo Switch.